Several parcels from the original listing have been sold off and these are the remaining parcels. 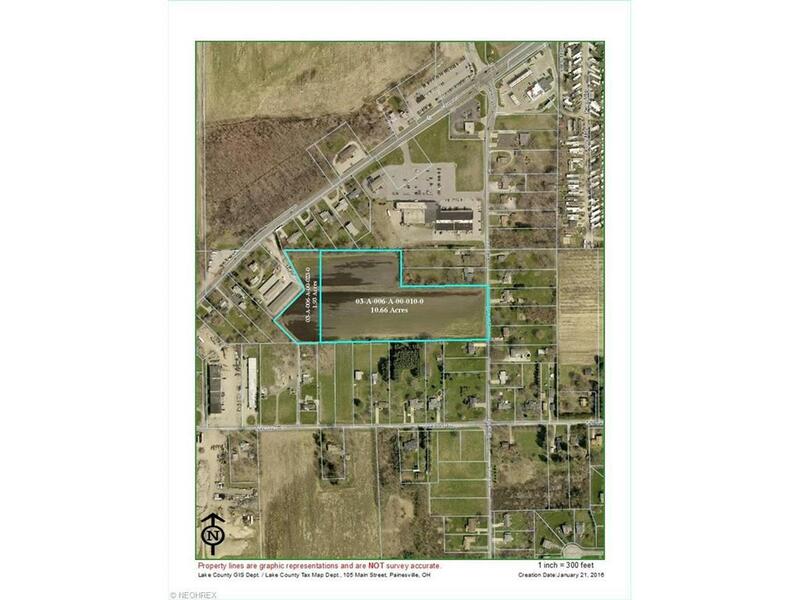 12.59 acres comprised of 2 different permanent parcel numbers with 300.95' of road Frontage on Lane Road. Zoned Commercial With Wide Range Of Permitted Uses - commercial and/or residential. In very close proximity to the Long Meadow Square shopping center on N. Ridge Road (State Route 20) and Sheets gas station/super mart. Attractive location and intriguing setting transitioning residential and commercial usage. Owner will consider financing!